Not many teams have dominated the English footballing landscape in its entire history quite like United have done in the last two decades and not many teams have produced as many high caliber players from within its own youth system quite like United have and still continue to do so with Cleverley and Welbeck going great guns before being bogged down by unfortunate injuries. Rather unsurprisingly, nearly 200 footballers(or a few more) have graduated through the United academy and went on to play for the club’s first team since the WW2. Fergie- Believer of the youthful. Regardless to say, there isnt a better youth academy and youth scouting system in the country that has consistently brought in and reared such prodigiously talented players, and the only one’s comparable on the continent would be Barcelona’s La Masia and the youth setup’s/scouting networks of Ajax, PSV and FK Partizan. And during the quarter of a century long reign of Sir Alex alone, the likes of Mark Hughes, Lee Sharpe, David Beckham, Paul Scholes, Ryan Giggs, Neville brothers, Wes Brown, John O’Shea, Cristiano Ronaldo, Wayne Rooney, Darren Fletcher, Nani, Chris Smalling, Danny Welbeck, and countless others, have either been brought through the various stages of the United youth setup or brought in at a tender age only to be moulded to play the United way, as envisioned by the gaffer. However, like all success stories, there are those of failures that accompany them, and United’s been no different. Young players have left United to try their luck at other clubs, due to their want of more first team action, lack of patience or due to just not being good enough to be playing for United. Some of those who left have fallen into footballing oblivion but there are others who have truly made a niche for themselves in the hearts of football fans, after having left United. This article is an attempt to look at all those who got away, who might have made a mark on today’s Manchester United. 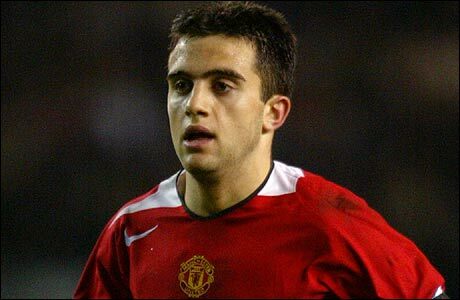 The New Jersey born Italian international Giuseppe Rossi was brought to United from the youth team of Parma as a 17 year old in 2004 and it didnt take him long to make an impact as he quickly developed into an important player for the reserves before making his debut for the Man Utd senior team in the 2005-06 Premier League season, scoring his only Premier League goal for United against Sunderland. The promise was starting to show but due to fierce competition for places from van Nistelrooy, Rooney, Solskjaer and Saha resulted in Rossi being loaned out to Newcastle and then Parma. What if he had stayed? In his loan spell at Parma, he would go on to lead the club out of the relegation dogfight and announcing his arrival to the big time and subsequently leading the line for Italy U21’s at U21 Euro’s of 2007. All was set for him to make his mark at United, but that wasnt meant to be as Villarreal signed him for €10mn in that very same summer of 2007. At Villarreal, he has since gone on to become one of the best forwards in the Europe having scored over 80 goals during his four year stay. So much so, that he’s been chased by some of the biggest clubs in the world including Barcelona, Inter and Juventus in recent times and its only a matter of time that he would eventually make his big move to a continental ‘heavy weight’ and the only shame would be that it would not be with United that he makes his biggest mark in football. Would he a first teamer at United today? Certainly yes. As good as Chicharito is with his finishing, in terms of pure technical abilities Rossi is much better, his first touch, dribbling and . While it would be debatable whether he’d have worked with Rooney up front or not, there’s no denying that he is better than the forwards United possess today barring Rooney. 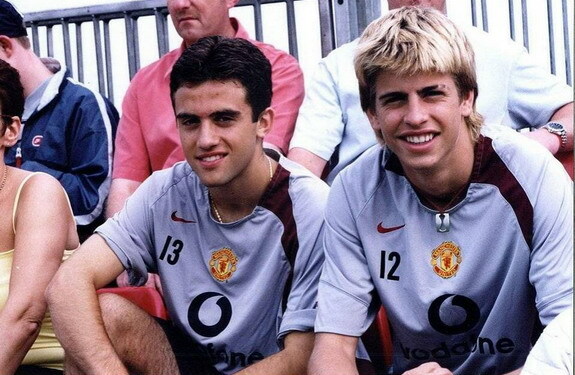 Another case of a young gun plucked early by the United scouts, Pique arrived at Old Trafford as a 17 year old from Barcelona’s much fabled ‘La Masia’ in 2004, at the same time as Rossi. Much before Pique came to United, he had been one of the most highly rated defensive prospects in Spain and losing him had been seen a cruel blow by some of the ‘Cules’. He would go on to make his full debut in 2006 as a right back filling in for club captain Gary Neville and some top performances for the reserves landed him a lucrative contract until 2009. Rossi & Pique- In the 'United' times..
Gerard Pique continued his cycle of improvement and a loan spell at Zaragoza with some authoritative performances from the back alongside future Barcelona teammate Gabi Milito, before arriving back at United in time for the 2007-08 EPL season. But at United, it wasn’t for his lack of ability that he didn’t get the kind of chances that he probably deserved but due to the indomitable defensive partnership of Ferdinand and the all conquering Serb Nemanja Vidic, arguably the best in the world at that point and still are if only for the injuries. And the likes of Jonny Evans had been challenging him even for the back up duties, as a result when the chance to go back home to barcelona came, Pique accepted it in a giffy but not without some silverware and loads of footballing education he had grapsed from Sir Alex. With Barcelona, he has gone to win pretty much everything there is to win transforming into a key player for one of the best footballing teams ever assembled, and likewise with Spain with whom he won the World Cup. Would he a first teamer at United today? Probably yes. With the number of injuries that Rio Ferdinand has had in the last couple of years, Pique would have most certainly assumed the duties and there aren’t many better than him given his calmness with the ball at his feet. Today, alongside Vidic and Thiago Silva, he stands out as one of the world’s best centre halves. If only he had stayed longer, it would have been at United. Ryan Shawcross- a Man United product. Ryan Shawcross arrived at Man Utd as a 15 year old with big dreams of making it big at the biggest football club in the country, but as fate would have it left after having made just two appearances for the club, both in the League Cup of 2007. He was another case of falling victim to the immense competition for places for the centre half positions with Vidic and Rio Ferdinand first choice with Pique, Evans and Brown all serving as backup, amidst all this Shawcross fell desperately short of opportunities to play for the United first team. In his time, he was loaned out twice, first to United’s feeder team Royal Antwerp and then to Stoke City, then in the English Championship. Strong performances for Stoke City during his 6 month loan spell eventually led to his permanent move to Stoke in January 2008 for a paltry sum of £1million. Since his move, Shawcross has been an ever present figure for the club and has undoubtedly become its most valued player and now a days dons the role of being Stoke City’s captain. Would he a first teamer at United today? Most probably no. He was never really going to be first choice at United in preference to the centre-halves United have had all along. That said, he would have been more than an able back up, and would have got a fair bit of games. Signed as a 16 year old, Ron Robert Zieler is probably the only German to have signed for Man Utd through its history. Having initially signed as a ‘trainee’ with United after leaving FC Koln in Germany, Ziegler initially shared goalkeeping duties for the academy team with Ben Amos along with making the bench for several of the reserve team games in 2008. The following season he made more regular appearances for the reserves before firmly establishing him as the number one for the reserves. At the end of the season, Zieler was a part of the German squad who’d go on to win the U19 Euro Championship. However, an injury against Newcastle reserves in march 2009 kept him out for the best part of 3 months and with Amos on the up, he never really reclaimed his position as first choice goalie for the reserves before being released in April 2010. Ron Robert Zieler: From reserves to the German National team, all in one season. With his career in the middle of nowhere, he signed a contract with a modest German club Hannover as the backup goalkeeper and the rest as they say is history. An injury to their first choice goalie Florian Fromlowitz in January 2011 gave Zieler his big oppportunity and he hasn’t looked back since. Producing a string of top class performances, he led Hannover to a highly creditable 4th place finish in the Bundesliga eventually being linked to Schalke to replace Manuel Neuer. And he has begun the new season just the same way as he left the last leading to him being called up to the German National Team for the Euro 2012 qualifiers recently. In one season, he had gone from being a reserve for the reserves to being called up for his national team, maybe a string of games was all he ever needed. Would he a first teamer at United today? No. As good as he has been, he has sustained his performances at the top level for less than a year, but at just 22 years of age, if he can keep his performances up, a move to one of Germany’s elite would soon be in the offing. About the future, he could very realistically grow into a top quality keeper, one that is capable enough to play for a club like United, but only time shall tell how good he’d end up becoming. 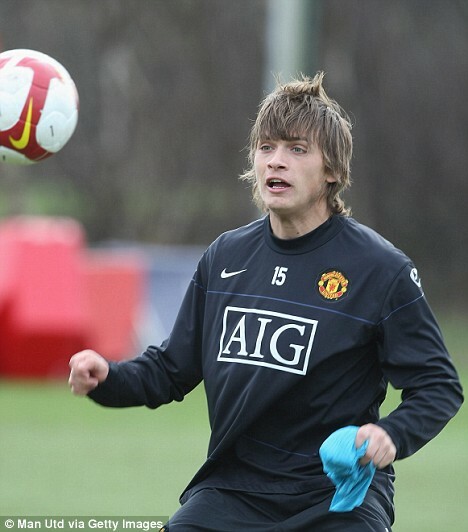 First things first, Ljajic never really joined United so it might not be totally correct to label him as one of those who got away. Yet, given his bottomless potential and the fact that United actually signed him as a 17 year old before letting him away, it wont be entirely incorrect either. Rumours have been flouted more than once about how Zoran Tosic was signed by United just to help Ljajic settle in to his new club, whether true or not is a matter of discussion for another day, but what United let away was one of the brightest talents in all of Europe. A move that was never meant to be. Today, he stands as one of the most promising attacking midfielders in the Serie A and though he can go missing in games, but the ‘chocolate loving boy’ can also win you matches on his own, all at the age of just 19 years and alongside fellow youngster Stevan Jovetic threatens to take Italian football by storm in the coming years. His current market value would be €15mn, more than double of what United once agreed to pay for him back in the day. Would he a first teamer at United today? Not yet. He’s way too young to have genuinely threatened any of United’s front men at this point of time and at best would have sporadic appearances if he was to be at United. But no two ways about it, given his potential, he could very well have made the cut in the long term at Man Utd. options, it’s easy to become frustrated and stressed out. The information here will help make buying a car as easy and stress-free as possible. Definitely consider that that you stated. Your favourite reason appeared to be at the web the easiest thing to keep in mind of. I say to you, I definitely get irked while folks consider worries that they plainly do not recognize about. this article then you have to apply these techniques to your won webpage.